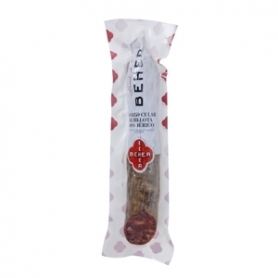 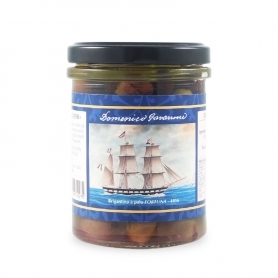 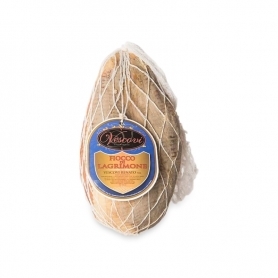 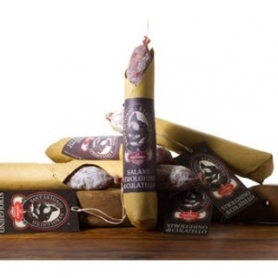 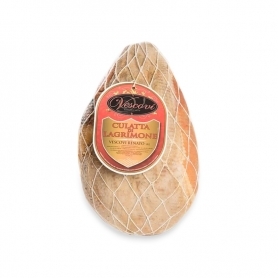 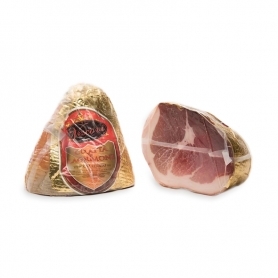 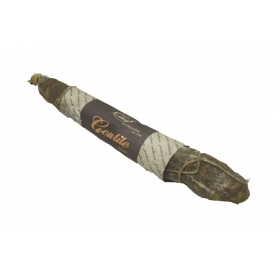 A traditional salami with a sweet and penetrating aroma. 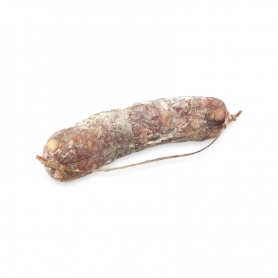 It is a pure pork sausage made exclusively from the pulp chosen from naturally reared animals, whose meat is minced only once and flavored with the addition of fine salt, ground black pepper and minced garlic. 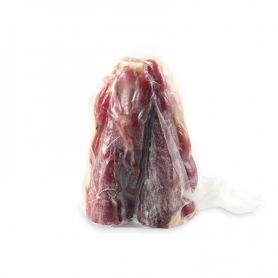 At the end of processing, the product is kept for a week in a basement for drying. 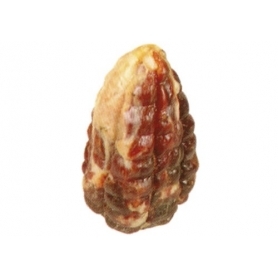 The aging process goes from 50 to 75 days, at a constant temperature of 14 ° C, with a humidity level of 80%. 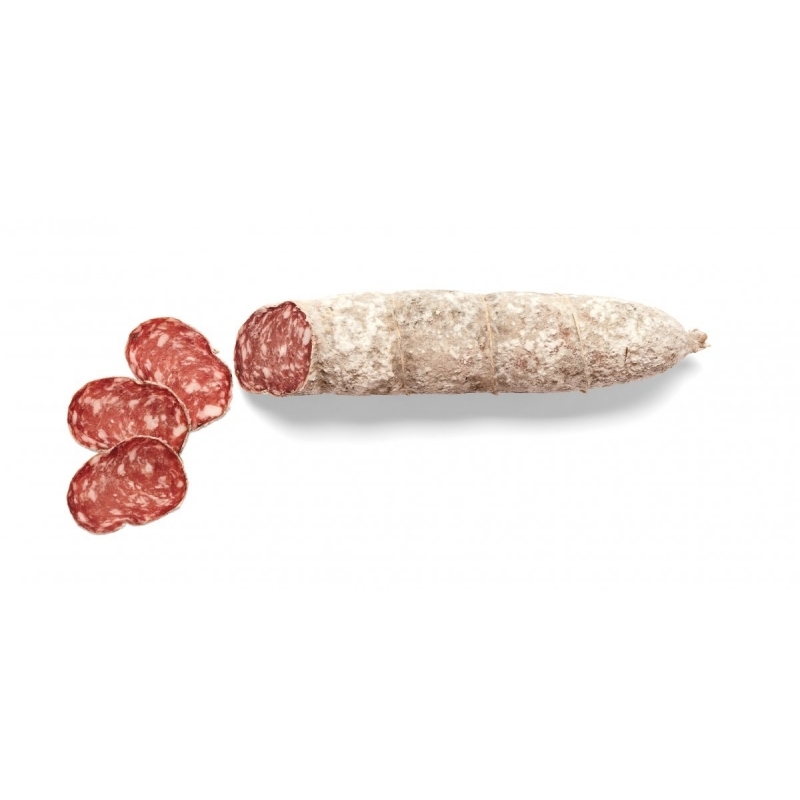 The Salumificio F.lli Magnoni, founded in 1945, preserves the traditions, the experiences and the working techniques handed down from generations to guarantee to the customers constant and high quality products. 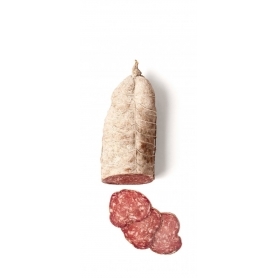 The typical products come from DOP pigs and all are traceable and identifiable in every phase of their history.